The oldest Japanese luxury brand in the United States, Acura was introduced in 1986 with two models: Legend and Integra. The Legend was an all-new four-door sedan developed specifically for North America, while the Integra was based on an upscale Japanese-market Honda model known as the Quint. Offered in both two-door hatchback and four-door hatchback configurations, the Acura Integra, just as did its Legend sister, very quickly became a fixture on American roads. Initially marketed under the tagline, “Precision Crafted Performance”, Honda’s luxury cars are known for technological superiority, sporty driving characteristics, and economical operation. Today, Acura offers dynamic coupes, athletic sedans, a full-size luxury flagship sedan, and a variety of crossover sport utility vehicles. Autobytel’s Acura luxury car reviews reflect the findings of a group of knowledgable and dedicated professional automotive reviewers who drive every new car each year. 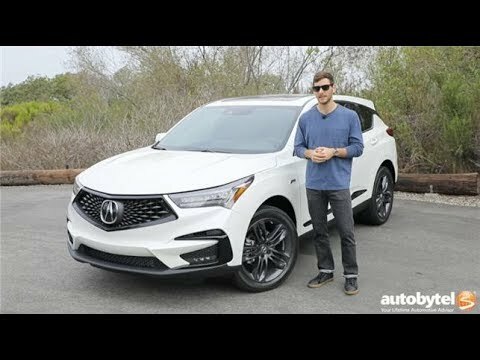 To offer these, the most current Acura luxury car reviews available, Autobytel’s team has thoroughly road tested each new Acura car you see reviewed here. In addition to providing driving impressions, Autobytel reviewers explore the technology, engineering, design, and special features of each model in an effort to provide the most accurate assessment possible. All of this is done in an effort to provide you with the most accurate information available to assist your car buying process. Offering a selection of some of the most sophisticated models available, Acura is one of the most well respected luxury car brands in the world. Autobytel's Acura reviews examine them closely to provide thorough, well-considered, unbiased expert analysis.